It’s known as one of the world’s engineering marvels, the proud emblem of a proud city, and “The Bridge at the End of the Continent.” The Golden Gate Bridge is all of this—and a great walk: one of those must-do-once-in-a-lifetime adventures. 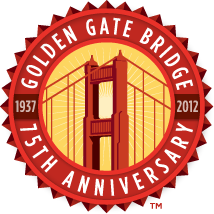 Native Californian that I am, I knew from an early age that you could—and should—walk across the Golden Gate Bridge. A great number of fellow hikers from across the U.S. and around the world seem to be unaware that the bridge is walk-able, though. Until I began leading hiking tours in San Francisco and points north, I thought everybody knew you could walk across the Golden Gate, but that doesn’t seem to be the case, even among some well traveled hikers I’ve met. I love leading hikers across the Golden Gate Bridge and along the Coast Trail south and north of the bridge. You really get a sense of the bridge’s scale and spectacle when you hike toward it from the south. And continuing north from the bridge on trails into the Marin Headlands keeps a good thing going. The technically inclined revel in the bridge’s vital statistics: its 8,981-foot length, cables that support 200 million pounds, twin towers the height of 65-story buildings. Statisticians have calculated everything from the number of gallons of International Orange paint required to cover 10 million square feet of bridge, to the number of despondent souls who have leaped from bridge to bay. For all its utilitarian value, the bridge is an artistic triumph. How many set-in-San Francisco movies and television shows have opened with an establishing shot of the bridge? A lot! The bridge spans 400 square miles of San Francisco Bay, which is really three bays–San Francisco and the smaller San Pablo and Suisun Bays to the north and northeast. Geographers describe the bay as the drowned mouth and floodplain of the Sacramento-San Joaquin Rivers. Ninety percent of California’s remaining coastal wetlands are contained in San Francisco Bay and its estuaries. Shoreline development and industrial pollutants have damaged fish, shellfish, and bird populations. Fortunately, a great many people care about the bay, and are working hard to save and rehabilitate one of the state’s most important natural resources. For centuries, high mountains and heavy fogs concealed one of the world’s great natural anchorages from passing European ships. Let’s remember it was not a sailor but a hiker—Sergeant Jose Francisco Ortega, of the 1769 Portola overland expedition—who first sighted San Francisco Bay.